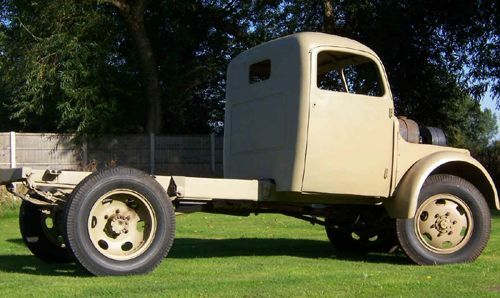 Austria's all-wheel drive Steyr 1500 was one of the many personnel/transport vehicles designed to meet the Wehrmacht's requirement for a standard 1,5 ton truck. 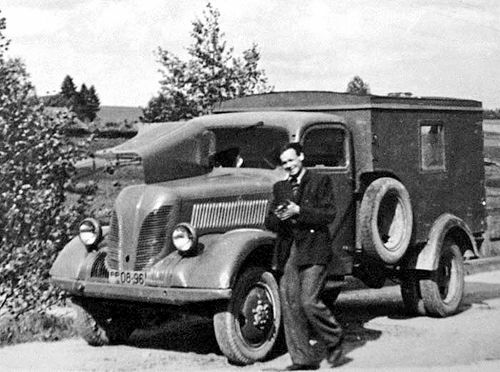 Presented in 1941, the Steyr was used as a transport in all the theaters. 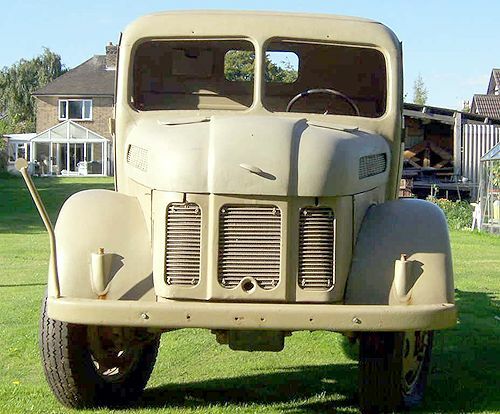 A total of more than 20,000 were built, in a wide range of variants. Tamiya offers the basic and command versions. 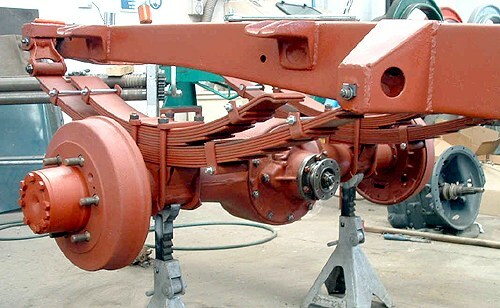 The chassis of the Steyr 1500A and its reinforced variant, the Steyr 2000A were also used for fire trucks, omnibuses (Leadwarrior kit Lw35026), a universal Funk-Koffer for radio vehicle, and different types of cargo carriers with open metal or wooden cabins (Leadwarrior kits Lw35023, Lw35024, Lw35027). There were also tests using trucks with railway drive (Leadwarrior kit Lw35028). 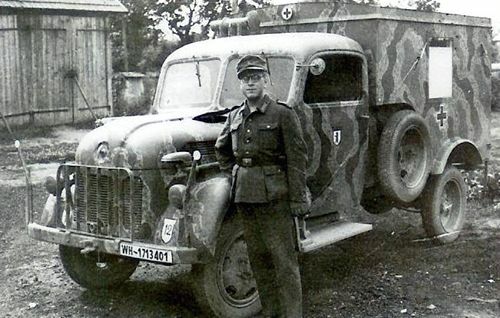 Some Steyr 2000A trucks were into Flak trucks, (Leadwarrior kits Lw35029, Lw35030). 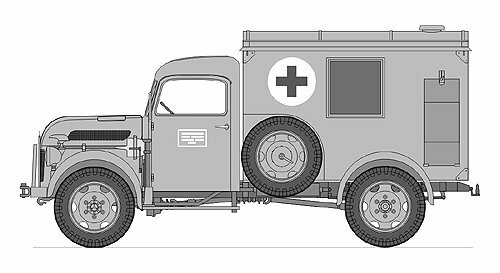 This kit presents widely used version of the Steyr 1500A, an ambulance with full-metal cabin. 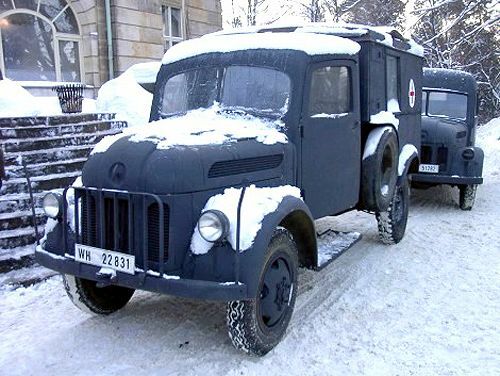 Along with Phaenomen-Granit 1500A, carrying the same standard Sanitäts-Koffer, this vehicle formed the core of German park of ambulance vehicles of WWII. 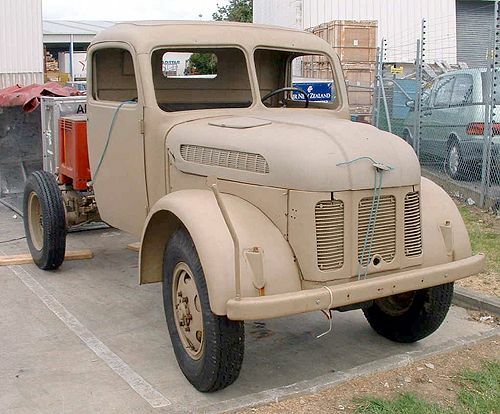 Steyr 1500A Kfz.31. Cabin type is different. 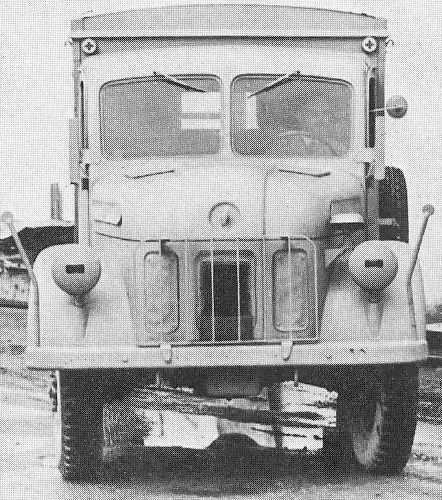 Steyr 1500A Kfz.31. front view. 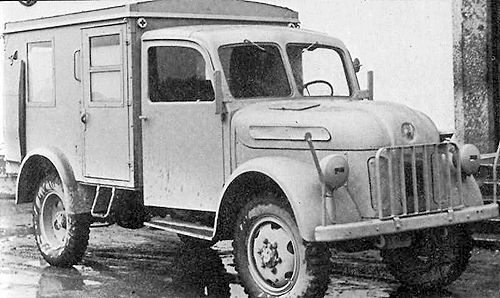 "Sanitats-koffer" is exactly of the same type as was utilized for Steyr Kfz.31. 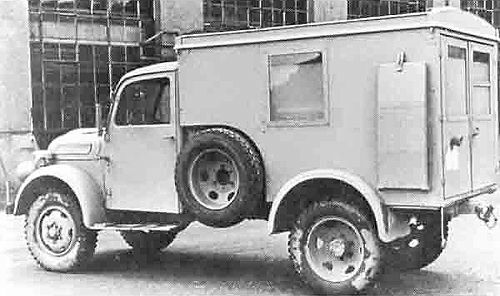 Steyr 1500A trucks full-metal cabin.